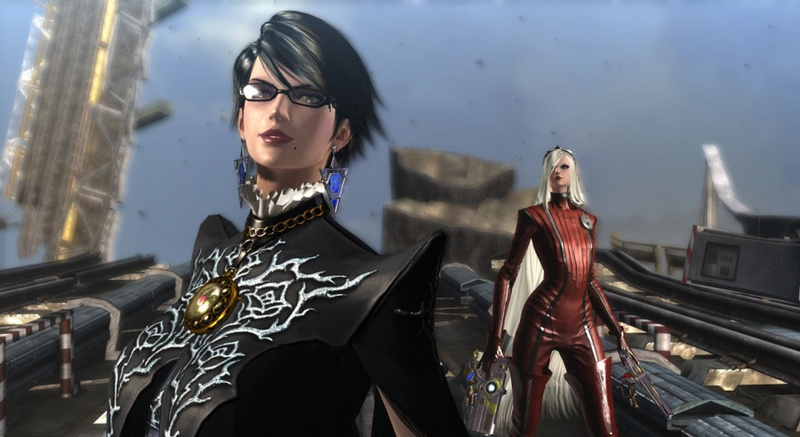 Nintendo's E3 announcement of Bayonetta 2 including a Wii U-enhanced edition of the original Bayonetta was pleasing; it's terrific news for Nintendo gamers, as those yet to enjoy the original can now enjoy both titles in the correct order, with the original even having new outfits and control schemes to enjoy. The promotion has caused some confusion, however, with gamers unsure at various points how it'll work. Some dodgy initial wording on the game's official website prompted some to believe that eShop purchases of the sequel would not include the first game free, before a Facebook post hastily corrected the misconception. The original version of Bayonetta will be available via a digital download on eShop when you purchase Bayonetta 2 (either a box version or digital copy of the game). That seemed simple, in that all copies of Bayonetta 2 get a download version of the game, but then Nintendo UK told us the arrangement is a little different in Europe — outlined below. Based on that Europeans have more options that may be pricier to have both games — that said, it's possible that the 'solus' version will be below standard retail price, while an eShop promotion could still potentially be confirmed. If you're in Europe you may want to look away now though, as Nintendo Everything is reporting that it's been told that the retail version of Bayonetta 2 in North America will also have the original on a separate disc. Retailers are still just listing that original SKU, for the standard retail price, that says the original is included for free. So if NA gets two discs — contrary to that earlier Facebook post — then it's getting both for that one $60 price; the eShop will, as previously confirmed, offer a discount to get the original for free in North America. Another twist, then. We'll reach out to Nintendo of America to confirm and, if possible, clarify whether there'll also be a 'solus' version in the region as there is in Europe. So, would you be happier with a separate disc, North Americans? Was hoping this would be the case! I want the separate disc. Yes, in a steelbook case, please. Screw the boxes, I want a statue of Bayonetta with her hair holding both discs. Still can't decide if I'm going all digital now or get the 2-discs. Nice!!! I'd prefer the separate disc. Now, the question is, since I've played through Bayonetta 1 on Xbox 360 but it's been forever... do I replay it first on WiiU? or jump right into Bayonetta 2? I think 2 is what I'll be doing, but we'll see. @SphericalCrusher I would suggest playing through the first one for 2 reasons. 1: You will get use to the controls for the second one. 2: You may get some bonuses for playing the first one when you start playing the second game. The first reason is why I haven't played the first game yet even though I have the game. I believe the issue with Europe is Bayonetta is an 18 game. If they include it in all copies, then Bayonetta 2 becomes 18 by default, instead of the 15 it should be. Games are not really made to fit our ratings criteria. They get made to fit into the North American teen/mature/adult ratings, and as we know, they don't really align. Good point about the bonuses! Although we don't know if that's true, we can only hope. As far as the controls go, I'm really quick at adapting to controls. Originally, I wasn't going to have Bayonetta 1 on WiiU, so I was prepared to jump into the sequel on new controls, you know? Pro Controller all the way. But yeah I may just have to take 1 again and then go to the sequel. I've been trying to figure that out as well. @Peach64 True. I still find it funny that Zone of the enders HD collection is a 12 game but got an 18 rating because of the metal gear rising demo. @SphericalCrusher Yep, there may not be any bonus but some companies do tend to add something extra for playing their squeals but those can be found out on the day. I do hope they are separate. Well, this could be quite satisfying. Does anyone know if they're adding multiplayer to the port of the original? Oh yea, hearing this makes my morning. Now I want to hear that were getting the Hyrule Warriors collectors set and were golden. Really hope NA gets both as physical copies. I hope that the 2-disc version will be released in Australia. 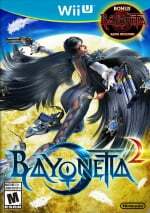 The original Bayonetta has been reclassified in Australia (perhaps to factor in whatever new content is featured in the Wii U version). Bayonetta was rated MA15+ for "Strong violence", while Bayonetta 2 was rated MA15+ for "Strong fantasy violence". I got my U.S. Wii U today (still waiting for the power outlet adapters though) and since I'm planning to get all my games digital anyways, like with my 3DS, I'm alright with this as it (seems to) stands. I hope it will end up working out fine for those with PAL consoles too. Just seen that GAME and Amazon are both £35-ish for Hyrule Warriors. I'm surprised Nintendo are selling a Zelda branded game that cheap. Hope this is true. I have limited space on my hard drive, and this might influence my decision about when to get it. Two discs yay; day 1 now!!! Playing Devil's Advocate: Nintendo's original plan or changed from digital download due to fans? Yay! Physical copies! I am officially having a good day. So the digital copy comes with the first one for free? @SilentHunter382 i would pay extra for that statue…in fact that would make an awesome limited edition w/ the retail copies of both games!!! I'll be downloading both games but was hoping to get Bayonetta 1 for free, oh well. I really hope there's a bundle deal for downloading the games from the eShop. I'm trying to save room on my Wii U so that would be great. I finally got a TB HDD so I'm good either way. Absolutely I want the disc. Who wouldn't? I'll get to play it indefinitely, unlike a download copy. I really hope this is true. I don't want Bayonetta as a download. Wow, so it happens I still don't understand poepiaadooplie about it. 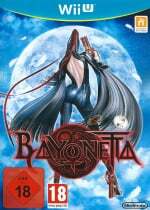 I am from europe, do I get a free copy of Bayo1 when I buy Bayo 2 of what? Puh-rayz the lawd on high! Lawd Nintendo! You better believe I want a physical disc. So is this true? Because i am confused what's going to happen when bayonetta 2 comes out this year. @WiiLovePeace You do get Bayonetta 1 for free. When you buy Bayonetta 2, Bayonetta 1 becomes free. If I've decided to buy the the game by the time it's released, going to get it digitally since it's a superior format. Great leave us out in the UK again nintendo snubbing people in the EU. We got left out of loads of 3DS limited edition games no wonder so many people get Ps4 console. It's just not america that play nintendo. Excellent. I much prefer physical copies of games, so that bonus disc sounds great. @IceClimbers From the article above: "3) The digital versions available in the Nintendo eShop in Europe will be sold separately"
The inclusion of the original has really shot this game to the upper reaches of my wish list. If UK fans get excluded I'm going to really disappointed and may regrettably be dissuaded from picking this up. I hope so. I'm not too fond of eShop downloads. Buying regardless. Bayonetta 2 will rival DKC Tropical Freeze for GotY, if not top it entirely (and that's saying something!). I'm gonna play the 2nd game first, and when I'm done I'm gonna go back and play the first. I want each copy to come with a real life model cosplaying as Bayonetta that you can take home! The news I had been waiting for. My Amazon pre-order is now safe. Separate disk for me. Until Nintendo releases a console with a decent sized hard drive out of the box, I'm sticking with physical copies since most Wii U games can have pretty large install sizes. Besides, I'm still holding on to the old school mentality of having a physical copy I can bring over to a friends house to play, and I don't have to wait a couple hours for my game to download and install. The option to hook up an external drive is nice, but external drives cost more than internal drives hence why my PS3 was upgraded from 80G to a 450G a few years ago and my Wii U remains stock. Fantastic news, even though I have already played Bayonetta on the 360 it will be fun again to play it again on the Wii U and then play Bayonetta 2.